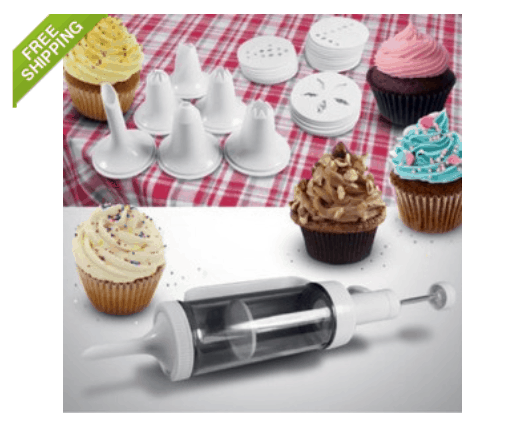 31 Piece Cake Decorating Kit with 6 Decorating Icing Nozzles ONLY $6.99 + FREE Shipping (WAS $20)! You are here: Home / Great Deals / 31 Piece Cake Decorating Kit with 6 Decorating Icing Nozzles ONLY $6.99 + FREE Shipping (WAS $20)! Wow!! If you love decorating cakes and cupcakes, don’t miss this deal! Hurry and snag this 31 Piece Cake Decorating Kit with 6 Decorating Icing Nozzles for ONLY $6.99 + FREE Shipping (WAS $20)!